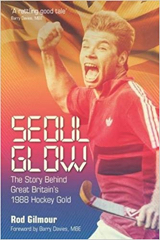 When I started Fieldhockey.com 20 years ago one of the first journalists to support and encourage my efforts was the English writer Pat Rowley, I am utterly delighted to report that Pat has been awarded a British Empire Medal for services to Hockey in the Queen's Birthday Honours list released today. Pat started reporting on Hockey at the London Olympics in 1948 at the age of 14 and has reported on almost every Olympics since then, which made the return to London in 2012 rather special for him. We stand in awe of people who have attended 5 Olympic Games, but Pat has reported on 14! He was recognised by the FIH for this achievement at the London 2012 Games and received a replica Olympic torch as a tribute. His contribution to hockey journalism, which has seen him working for most of the English press, is legendary and has included stints as the FIH Press officer, Editor of World Hockey magazine - a publication before the world of the Internet, in 1972 was Founder and Chairman of the Hockey Writers Club, an English based organisation for Hockey writers world wide accredited by the FIH. He helped found the AIPS Hockey Commission a branch of the International Sports Press Association for professional sports writers. Over the years Pat has amassed a huge collection of writings and statistics about Hockey and has logged the result of every International match ever played. 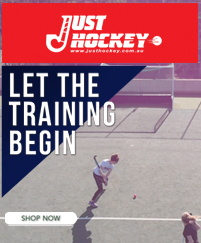 It would be to the immense relief of his wife Liz if the Hockey Museum - another organisation to preserve the rich history of Hockey that he helped to found in 2007, or the FIH would buy them off him, as they take up an enormous amount of space at this home! The amount of time and effort put into keeping them up to date is very considerable. "In I995, I was in Atlanta for the pre-Olympic tournament and got to meet Sydney Friskin, Bill and Jean Colwill, and Pat Rowley among others. Bill and Sydney were very generous with their advice as I was still new to all this "journalist" stuff. I remember almost getting thrown out because of Pat's Pipe. The sun was very strong and in our faces where we were initially sitting. The seats on the opposite side of the field were closed off but we moved there and the Security people looked the other way - until Mr. Rowley lit up his Pipe knowing very well no smoking was allowed in the stadium." At 83 Pat still plays Hockey for Southgate Hockey Club and claims to be the oldest player still playing competitive Hockey for any the club in England. We are still waiting for evidence to refute this claim. I’m sure the hockey family will join me in congratulating Patrick. We’re delighted that his lifelong passion and dedication to hockey has been recognised in this way and thank him for his services to our sport. Patrick has been the heart and soul of the game for as long as I have been involved. His knowledge and diligence as a journalist always made his stories, articles and reports required reading. That in itself was enough but when you add in his affection for the game and its players, and his passion to give hockey a voice, you start the understand the enormity of his contribution. I am personally delighted that Patrick has received this well deserved recognition. Well done Patrick! Pat's knowledge of hockey's rich history is unparalleled. As a journalist he has given our sport a profile wherever he has worked and as an historian, his records and insight have been invaluable on so many occasions. This is a thoroughly well-deserved recognition of a lifelong contribution to our sport. Congratulations Pat! I have always found Pat to be extremely helpful in every respect. Pat's encyclopedic knowledge of the true 'Beautiful Game' is nothing short of remarkable. It is always a pleasure talking with media's Mr Hockey! His BEM is richly deserved - and, dare I say it, long overdue. Having played and been involved with the World of Hockey since I started at 13, I have enjoyed all things hockey. During the period I was playing at Senior level for two of the top sides in the country, I met and was involved with many great, amusing and talented players. One group associated with the hockey world and who seldom if ever received any praise were the journalists. Hollands, Pat Ward Thomas, Lyn Wellings, Woodcock, Friskin, Lewis and Rutnagur to mention a few, came and went, but one journalist was always there at every match. He wrote for a number of the great English Papers, under his own name and often wrote pieces for the others when they weren't there and needed a story. Ever present and ever pleasant was Patrick Rowley. I first met Pat when he wrote a piece about school boys when I was at Mill Hill School. Since then, he was and is always to be seen on the touch line, come rain come shine. I believe he may shortly receive some recognition for his dedicated service and invaluable help to all things hockey. As such, I would like to be the first to congratulate Pat and thank him for everything he has done for the hockey world and for his support to me when needed. Congratulations Mr. Rowley for receiving the BEM honours for your services to Hockey at this esteem occasion - fully deserved Sir! It was indeed a pleasure meeting you for the first time in 1995 in Atlanta at the pre-Olympic tournament followed by the Atlanta Olympics and various other international field hockey events. Thank you for always being very generous with your advice - it was such a privilege to learn from the Master!! Pat, many congratulations on your award. It is very well deserved and a fitting tribute to everything you have done for Hockey. Thank you for your support and mentorship with this site and I hope you and Liz have a fantastic day at the Palace when you actually receive it.